Artist-in-Residence flyer. (Click on images to enlarge). 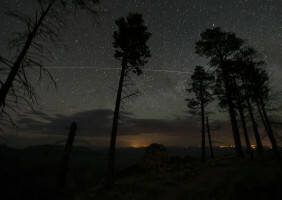 Tuesday evening I’m giving the first of three talks about night sky photography. 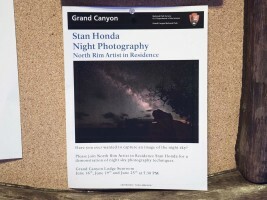 They are really demonstrations of the techniques I use and how visitors can shoot their own night sky photos. 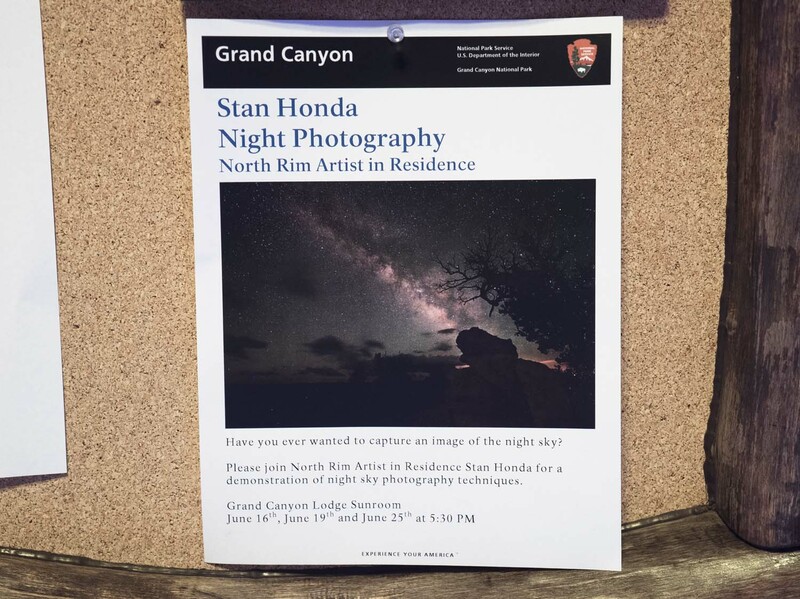 I’m appearing at the veranda of the North Rim Grand Lodge, where rangers do many afternoon programs and where visitors gather. The administration office printed up these posters which are apparently distributed around the rim. Space Station streaks across the sky. I photographed the International Space Station during a flyover Monday night. A great website called Heavens Above gives you charts of major satellites and where in the sky you can see them from your location. The ISS looks like a very bright star moving pretty fast across the sky. There are no blinking lights, so it can’t be an airplane. I did a three-minute shot showing the station streaking across from northwest to northeast from Roosevelt Point, named after Theodore, who helped establish Grand Canyon National Monument, later National Park. 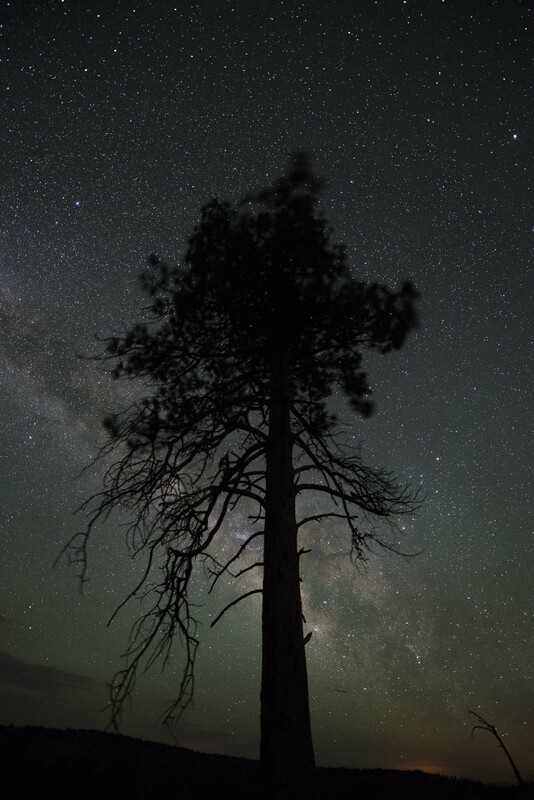 I wondered how to show the majesty of the ponderosa pine, which thrive on the upper levels of the rim. Just about ready to pack my equipment I found myself under one of the giant trees. Looking straight up towards its crown I could see it silhouetted against the starry sky, the central part of the Milky Way arching behind it. The tree stood alone on the trail and this seemed to be the shot.